Some of the legacy automakers who are really serious about electric vehicles are also trying to address the issues that come with selling both electric and gas-powered cars at dealerships. 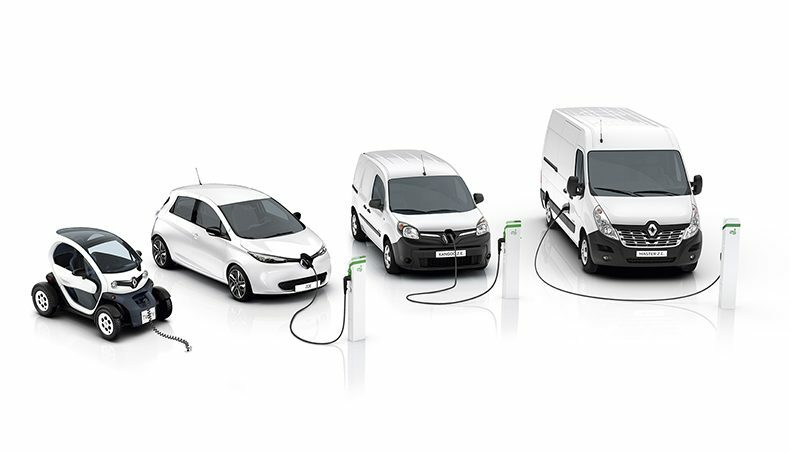 Renault is exploring electric vehicle-only stores and after a successful pilot project in Stockholm, it is now opening a second location in Germany. It can be difficult for dealerships to sell both electric cars and gas-powered vehicles at the same time since the strengths of one are often the weaknesses of the other. Car dealers are incentivized to sell what they have on their lots and since that’s currently mostly gas-powered vehicles, they don’t put a lot of effort into selling EVs. Renault lineup – from left Twizy, ZOE, Kangoo Z.E., Master Z.E. That’s partly why Tesla decided to bypass the dealership model and operate its own stores. They were proven right by a few different studies of the electric vehicle buying experience. Most recently, one found that electric car adoption is slowed down by ‘dismissive and deceptive car dealerships’. Now Renault is trying an approach similar to Tesla’s in Europe. Earlier this year, they opened a ‘Renault Electric Vehicle Experience Center’ in Stockholm, Sweden. The French automaker is now announcing that it is expanding the program to a second location – this time in Berlin, Germany.